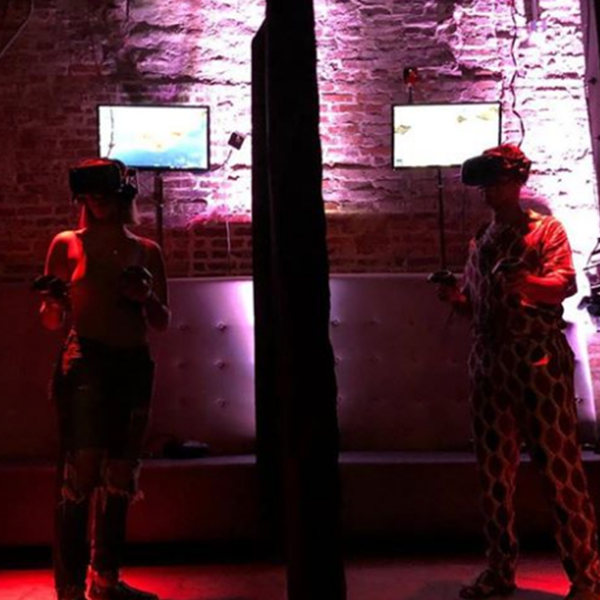 AUGMENT VR ARCADE IS A HIGH-END ARCADE AND BAR, FEATURING THE LATEST GAMING TECHNOLOGIES WITH A MULTITUDE OF EXPERIENCES TO CHOOSE FROM. PLAY TOGETHER OR SOLO. EXPLORE MUSIC, ART, SPORTS, ACTION, AND SIMULATION GAMES AND EXPERIENCES. Reserve a virtual reality headset for a specific date, time, and duration through our online reservation system. If reserving one VR headset, up to four people can take turns playing the headset. To play our multiplayer titles, you will need to reserve more than one headset. We have up to four headsets that can be reserved. Buy an All-Day Pass which will allow you to play on the Virtual Reality units all day. Pass is good for one person and cannot be exchanged. Play times are subject to possible limitations on peak times. All-Day Passes are available only on weekdays. No weekend All-Day Passes are accepted or sold.